In less than ten years, the Crypto-Economy will represent more than USD 10 Trillion. While people talk about BitCoins, this crypto-currency is just one piece of the puzzle. The number of cryptocurrencies available over the internet as of 27 November 2017 is over 1’324 and growing. A new cryptocurrency can be created at any time. By market capitalization, Bitcoin is currently the largest blockchain network, followed by Ethereum, Bitcoin Cash, Ripple and Litecoin. This new crypto-economy is growing so fast that more and more people wish to use crypto-currency to manage theirs transactions. With such potential, a visionary team created Crypterium, the first true Cryptobank in the world. It is a truly global project, completely decentralized and taking its foundations in the heart of the crypto-economy. Here is how. Traditional banks go bankrupt, money devaluates from one day to another, bank transferts contains taxes, rates and sometimes prohibitive costs… All this brings the financial systems to evolve and crypto-currencies became an answer to the decadence of the traditional bank system. A cryptocurrency is a digital asset designed to work as a medium of exchange that uses cryptography to secure its transactions, to control the creation of additional units, and to verify the transfer of assets. 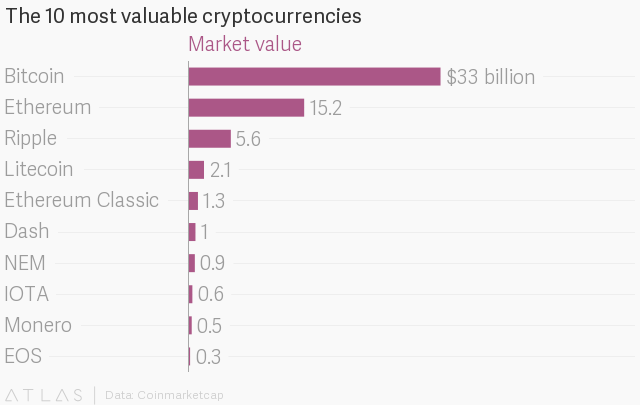 Cryptocurrencies are classified as a subset of digital currencies and are also classified as a subset of alternative currencies and virtual currencies. Bitcoin, created in 2009, was the first decentralized cryptocurrency. Since then, numerous cryptocurrencies have been created. The decentralized control is related to the use of bitcoin’s blockchain transaction database in the role of a distributed ledger. Something no-one can ignore is that Crypto-currencies became one of the top 10 preferred payment systems for online buyers. The problem with the Crypto-economy is that many times it is a matter for geeks and other digital-driven people. If you still manage to acquire cryptocurrencies, you wish to pay with it. Here is where banks and credit cards companies are lost. This means, we need to make the bank system evolve. Here is where Cryptobanks have an amazing role to play. So far, not so many companies have invested their money and time to develop a proper crypto-banking system. Crypterium, the first truly Cryptobank in the world. All the interest of the Crypto-economy is the fact that it is a completely decentralized model. This means it is all related to the demand and not to a specific national system, often not-compatible with other countries. Cryptobanks will become a cornerstone in the relations between decentralized economy and future daily life by expanding payment infrastructure and possibilities, creating new cryptocurrency payments scenarios and lowering interest rates. Crypterium is a cryptobank creating the future, today. 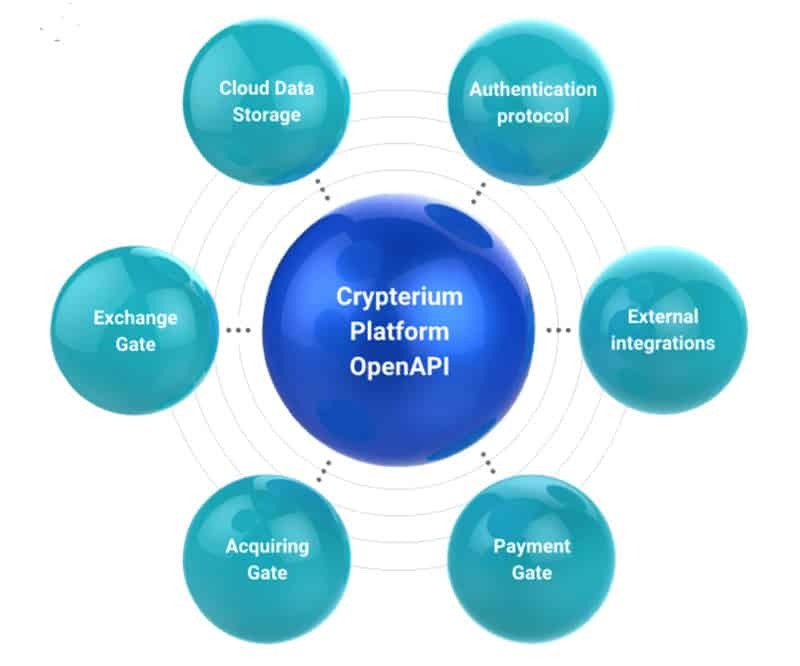 Crypterium’s goal is to provide a complete vertically integrated service that encompasses the best ideas from the entire community of the world’s best blockchain enthusiasts. Mobile payments are already a reality. By using your smartphone or smartwatch, you can already make payments without real money or credit cards. Crypterium’s team has a strong long-term experience on mobile payments and have developed a full solution in terms of mobile crypto bank. Crypto payments are already a reality in millions of stores around the world and Crypterium will facilitate them. Merchants can receive ﬁat money even if payment is made in cryptocurrency. This means that almost any store, online e-commerce business could be part of the program. Commissions are the lowest possible (only 0.5%) compared to credit cards or even PayPal. with a Crypterium products audience. An advanced “sandbox” is available in order to allow early stage development and debugging software. There is also an opportunity to deploy developed software and services on a decentralized Crypterium server infrastructure. Last but not least, it is worth mention Crypterium initiative to develop a technology of a blockchain based credit system. Credit subtoken gives the opportunity to create a full-fledged banking structure and interest interactions based on blockchain. Credit subtoken is a new standard of cryptocredit based on the blockchain system. Owners of credit subtokens receive income much higher than the average market and a decentralized storage of the reputation of borrowers in smart contracts allows a stronger guarantee. First of all, do you know what is an ICO? These three letters are for “Initial Coin Offer”. Initial coin offering (ICO) is a means of crowdfunding via use of cryptocurrency, which can be a source of capital for startup companies. In an ICO, a percentage of the newly issued cryptocurrency is sold to investors in exchange for legal tender or other cryptocurrencies such as Bitcoin or Ethereum. Crypterium launched its token sale for CRPT Token ownership Oct. 31. The sale will remain open until Jan. 12 with an option for early termination upon the successful raise of $47 million. The price of a CRPT Token has been set at 0.0001 BTC with a technical limit of 300 million tokens. Unsold tokens will be destroyed. Crypterium is offering to potential users of its Crytpobank platform to right to pre-purchase its own CRPT tokens through an ICO event that commenced on the 31st October 2017 in advance of their use within the Crypterium cryptocurrency bank. Crypterium allow for pre-payment up to 210 000 000 CRPT Tokens at the initial market value of 0.0001 Bitcoin per CRPT. Upon launch, a single CRPT Token is valued at 0.0001 BTC (due to the USD equivalent value of a single Bitcoin this is a more convenient measurement of value). For equivalent prices in other cryptocurrencies, the following exchanges will be used; Kraken, Bitstamp, Bitfinex and Poloniex. Info sourced in the official communication from Crypterium. All content is copyrighted with no reproduction rights available. Images are for illustration purposes only.